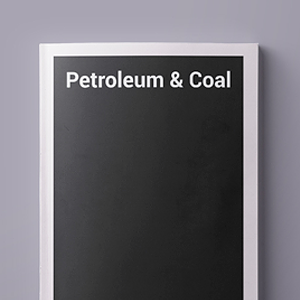 Petroleum & Coal, International Journal for Petroleum Processing, Petrochemistry and Coal Processing. ISSN 1337-7027, P&C is an Open Access Journal published online quarterly at www.vurup.sk website. Before 2003 journal was printed with ISSN 1335-3055. To be added to the free subscriber’s mailing list, send an e-mail to jozef.mikulec@vurup.sk (put “P&C free subscription” as the subject title and your name and address in the text in your e-mail). Because it is a free online journal (open access journal), papers published in Petroleum & Coal receive very high publicity. This journal is indexed and abstracted very rapidly by the leading indexing and abstracting services including Chemical Abstracts.